There's really nothing safe about transmitting sensitive information electronically, but even if it gets there safely without being seen by prying eyes, there's no guarantee what happens to it once it reaches its destination. And let's face it, there are some things that you just don't want floating out there forever. So what can you do? Whether you want to send an email, a text, or a link, there are ways to send messages that self-destruct so that once they're read, they immediately vanish. And now, you can even do it with Google Docs. 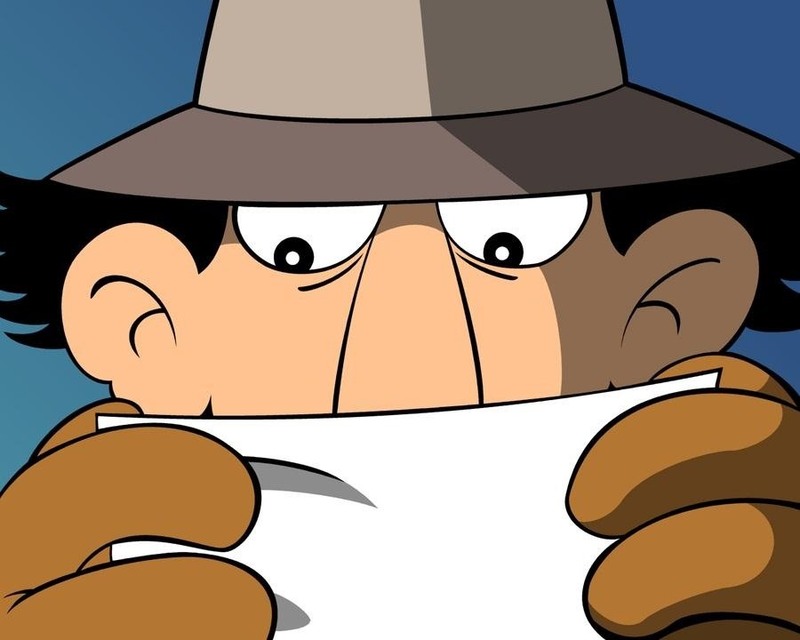 Here are some websites, apps, and tricks to help you get your Inspector Gadget on. If the person you want to send a sneaky message to has a Gmail account, you can make a self-destructing spreadsheet to share with them in no time. As Amit Agarwal explains, a simple Google Apps Script will make your sheet clear itself in whatever amount of time you specify. You can download a copy of his spreadsheet with the script already embedded here, or if you'd rather do it yourself, you can find the code on his webite. Don't use Gmail? No worries, there are plenty of services you can use on the web to send self-destructing private links. One of the simplest ones is OneShar.es. All you have to do is type your message, determine how long you want it to stay available, and click Create Link. It will encrypt your message and give you a secure link that you can share with your recipient that can only be viewed once. A similar site that's got the added bonus of password protection is the appropriately named This Message Will Self Destruct (TMWSD). Want something even more secure? 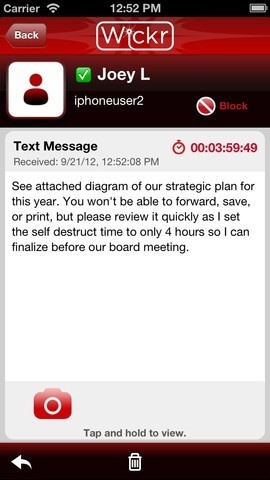 With Burn Note, not only will your message self-destruct, it's also broken up so that no one can take a screenshot. 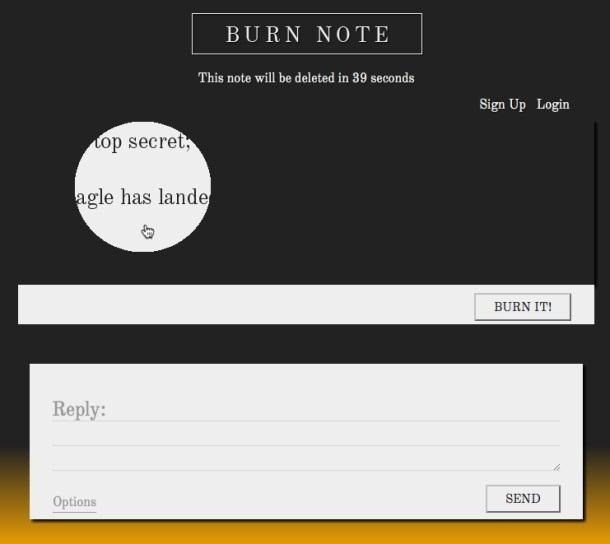 Their "Spyglass" display only shows part of the message at a time when you move your cursor over it, and once the message is burned, it's also deleted from Burn Note's servers, so it's like it never existed. Prefer to send your messages via text? Wickr is a free iPhone app that uses military-grade encryption gets rid of all the metadata on messages, including time stamp, location, and even device type. You can download it on the iTunes App Store, and there's an Android version coming soon. Want to send a photo? 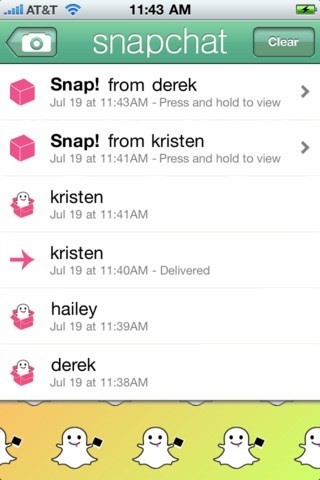 Snapchat is a real-time picture chat app for iPhone that lets you choose how long the pics you send are available to the viewer—and lets you know if they try to take a screenshot. The most obvious use for this app is sending scandalous pics, but it's good for anything you don't want to have a permanent trail, or for folks who just value their privacy. Like Wickr, there's an Android version "coming soon," and you can download Snapchat for iPhone on the App Store. 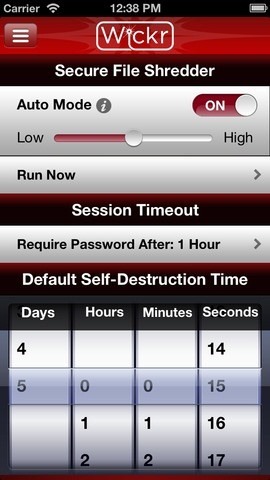 What do you use to self-destruct your sensitive transmissions? I would've gone with Mission Impossible, but Inspector Gadget works, too! Can we really send self-destructing spy messages? Hi, the link in the above information directed me to mourn Note, which I got really excited over, to get a message stating it's no longer available:( Any advice on another app that will work the same?